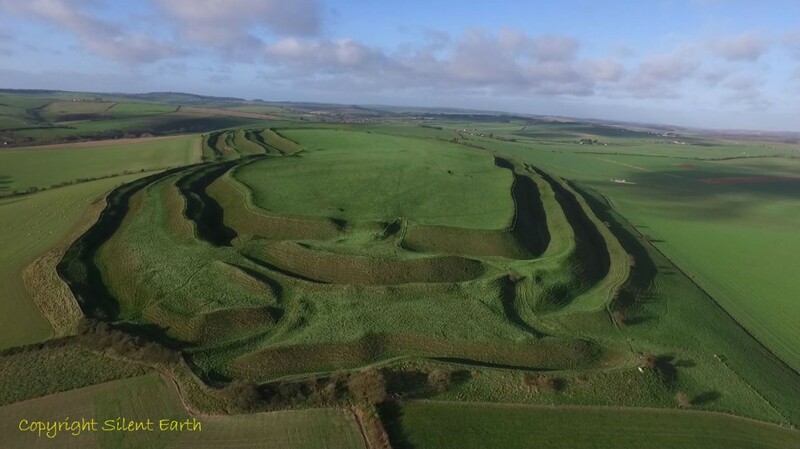 English Heritage write Maiden Castle, Dorset is ‘the finest Iron Age fort in Britain and was first laid out in 600 BC over the remains of a Neolithic settlement. 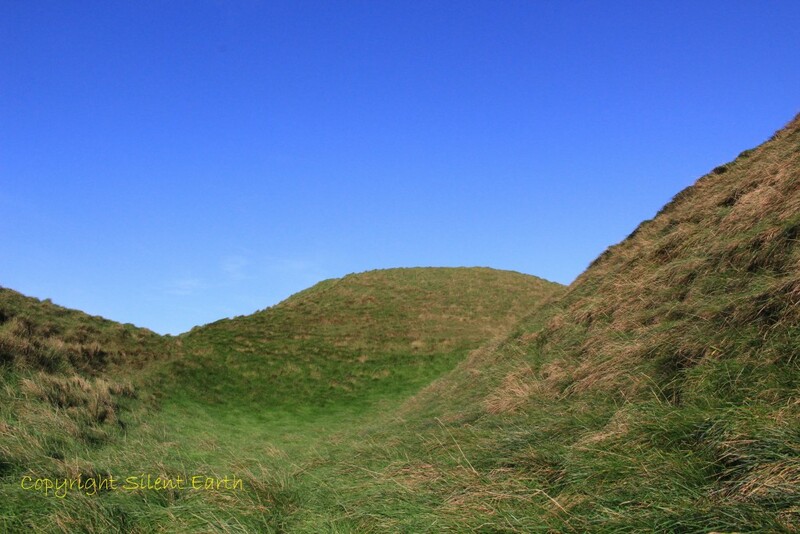 During the following centuries the hill fort was extended and additional defences thrown up around it. In AD 43 it was taken by the Roman army and its inhabitants moved to the new town of Durnovaria, modern Dorchester’. 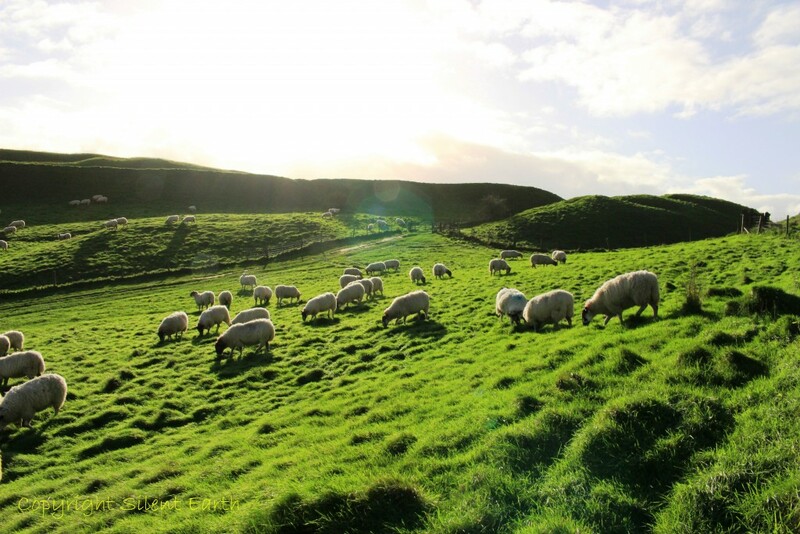 A brief history of the hill fort is here. I visited the site on Friday 4 December 2015 on a mild sunny day interspersed with cloud and a persistent prevailing south-westerly wind. On first sight, as always, the sheer feat of construction of the fort left me in awe of the achievements of our prehistoric ancestors. The above photograph is looking across the eastern end of the fort toward the west. 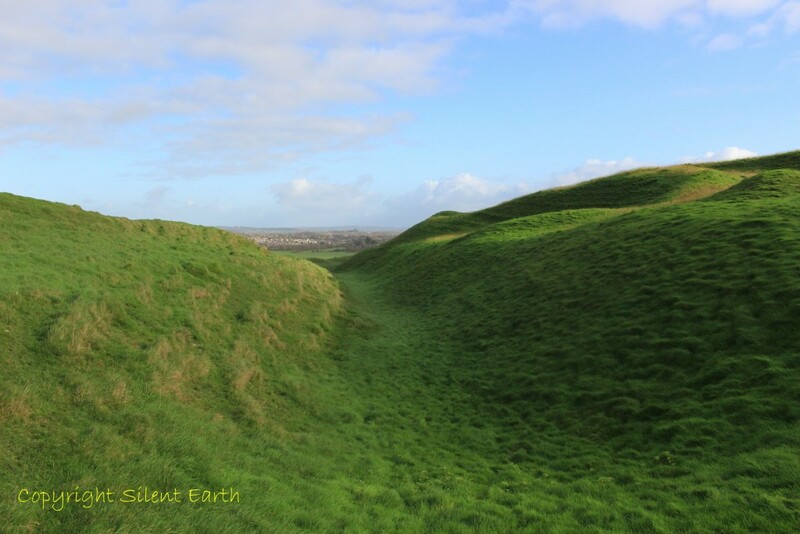 The complex of banks and ditches that surround the hill fort are the result of many centuries of modifications and enlargement during the Iron Age and enclose an area the size of 50 football pitches. 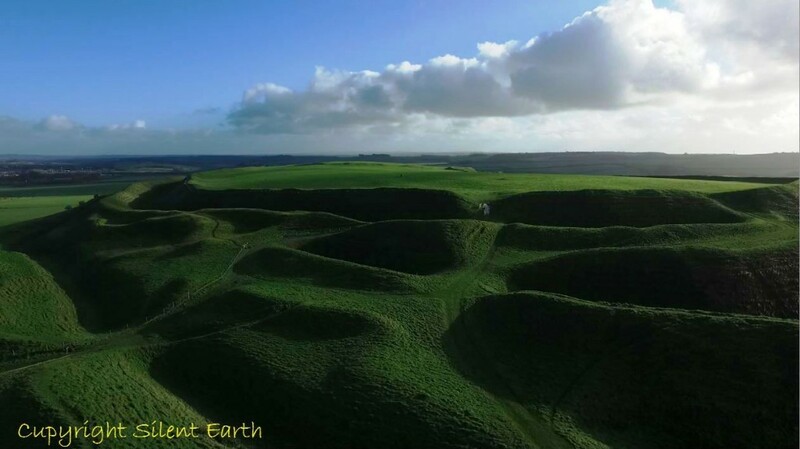 English Heritage states that the site was home to several hundred people in the Iron Age (800 BC – 43 AD) and excavations have revealed that occupation of this hilltop began about 5500 years ago in the Neolithic period. Below: Inside the banks and ditches of the western entrance looking towards the east. In the distance, the southern edge of modern day Dorchester can be seen. 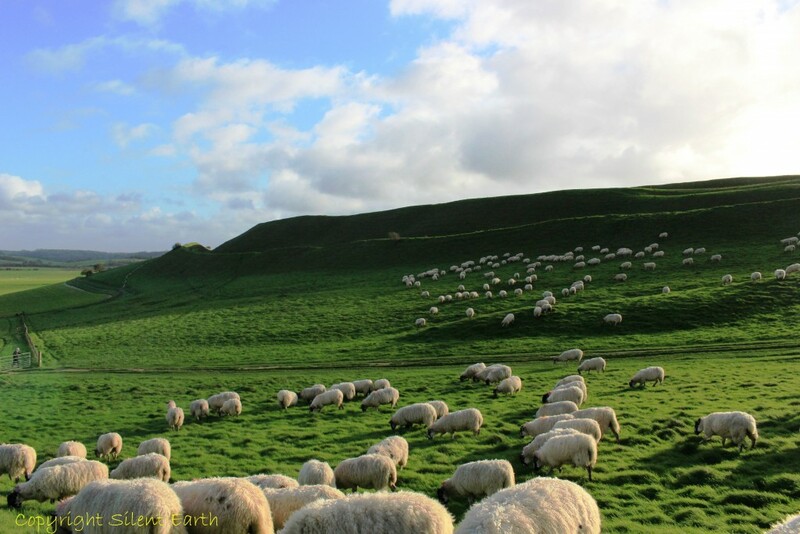 The hill fort initially enclosed an area of 16 acres occupying the east knoll of the hill and was later enlarged to the west to enclose 48 acres. Aerial photographs taken between 1934 and 1937 of the excavations undertaken at Maiden Castle by Sir Mortimer Wheeler are here. The Historic England PastScape entry is here. 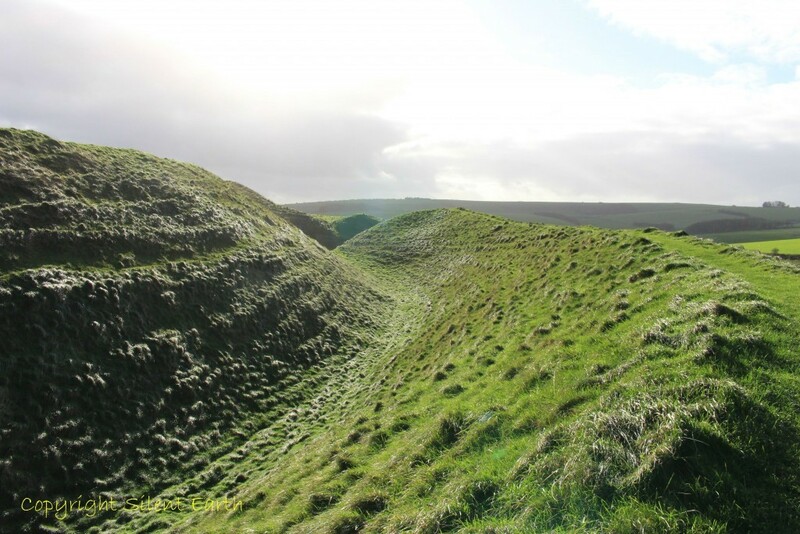 To this day, it is not certain whether or not Vespasian and his invading Romans carried out a direct assault on the hill fort. The possibility is explored by English Heritage here. Of 52 excavated burials, only 14 showed signs of mutilation and it has been suggested that these bodies may have been brought to an existing cemetery within the hill fort from a more remote battlefield.